Changes in land use, especially cultivation of formerly undisturbed soils, strongly decrease CH4 oxidation and consequently the uptake of atmospheric CH4 by the soil (Hutsch, 1998; Chan and Parkin, 2001). Typically, agricultural soils vary from being minor emitters of CH4 to small sinks for atmospheric CH4 (Chan and Parkin, 2001). Hutsch (1998) suggested that a reduction in tillage intensity could help minimize the adverse effects of cultivation on soil CH4 uptake. But according to Omonode et al. 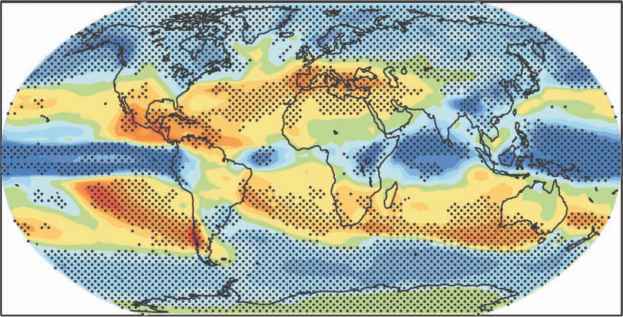 (2007), anaerobic conditions are frequent under zero tillage and consequently there will be an emission of CH4. As there are a limited number of studies, the impact of tillage on the CH4 flux in a crop production system is still unclear (Jacinthe and Lal, 2004). A major contributor to CH4 emissions from agricultural production is the production of rice. About 90% of rice land is, at least temporarily, flooded. The magnitude and pattern of CH4 emissions from rice fields are mainly determined by water regime and organic inputs. Flooding of the soil is a prerequisite for sustained emissions of CH4 (Ortiz-Monasterio et al., Chapter 9, this volume). Reduction in CH4 emissions from agriculture can, therefore, to a large extent be accomplished by growing rice aerobically, rather than flooded and anaerobic as is presently practised in large areas of rice producing countries. This can be done by wetting and drying, planting rice on beds, increasing water percolation through the soil profile, and changing from anaerobic rice to aerobic rice. In line with this, more recent recommendations for irrigated rice indicate that continuous flooding is not needed, but instead irrigation water should be applied after the soils have dried to where fine cracks appear (Ortiz-Monasterio et al., Chapter 9, this volume). This not only reduces the amount of water used but also reduces CH4 emissions. In rainfed lowland systems less CH4 would be emitted than in irrigated systems because of natural wetting and drying cycles caused by intermittent rain, unless the fields remain flooded for longer periods, such as in deepwater rice systems. An added benefit of CA-grown rice would be substantially reduced water costs (Castaneda et al., 2004). However, major efforts in research and development have to be made to develop the optimal CA and aerobic rice production package, as years of research including crop variety development and breeding have focused on flooded rice systems. Changing farmer practices from flooded to aerobic rice is not easy because farmers prefer to grow lowland rice the traditional way: transplanting seedlings into soils that have been puddled (ploughed wet), a process that promotes ponding of water and anaerobic conditions. The standing water makes it easier for weed control and also makes nutrients more available since anaerobic soils equilibrate closer to a pH of 7.0 where essential nutrients are more available. Also, in some lowland areas rice may be the only crop that can be grown because of natural flooding, rice being one of the few crops that are adapted to anaerobic and flooded conditions. Experiments by the International Rice Research Institute (IRRI) in the Philippines demonstrate the large reductions in water use by aerobic compared to flooded rice. These experiments were conducted in the wet and dry seasons over 2 years and concluded that aerobic rice used 73% less water for land preparation and 56% less during the cropping season compared to the flooded fields (Castaneda et al., 2004). Aerobic rice also used the rainfall more effectively during the wet season. However, the savings in water came at the expense of a loss in yield: 28% in the dry season and 20% in the wet season. What was not clear was whether the varieties selected for the experiment were upland or lowland varieties. Note that both the aerobic and flooded plots had transplanted rice with the soils flooded for several days in the aerobic plots and puddled in the flooded plots. The authors concluded that there was a need to breed varieties better adapted to aerobic conditions. The yield reduction in aerobic rice compared to flooded rice has been reported by other researchers. In some Chinese experiments, yields of aerobic rice were 11-31% lower than under flooded conditions with the authors suggesting lower moisture during tillering and deficiency of N and microelements as prime causes (Dittert et al., 2002), although water use was up to 60% less with aerobic rice in some sites. Other data from rice-wheat areas in South Asia show savings in water but lower aerobic compared to flooded rice yields on bed-planted rice (Sharma et al., 2002); iron and zinc deficiencies were present in the aerobic plots. In other studies in rice-wheat areas of South Asia, weeds, nematodes (Meloidogyne sp.) and iron deficiency appeared to lower yields on flat and bed-planted aerobic rice (Singh et al., 2002). However, both these rice-wheat experiments were done on plots where weed densities were higher than in farmers' fields. Data from Eastern Uttar Pradesh in India collected from many farmers' field experiments averaged over 3 years (2005-2007) showed better production under both flat (Singh et al., 2009b) and bed-planted systems (Singh et al., 2009a) for the aerobic, direct seeded and zero-till rice treatments compared to the traditional flooded systems. The direct-seeded and zero-till treatments used less water, reduced costs, used more herbicide but had greater yields (average of 0.5 t/ha) and greater net returns. CA applied to rice could be a way to reduce CH4 emissions since it would eliminate the puddling and encourage more percolation of water through the soil profile and help aerate the soil. The effect would be larger in bed-planted rice since aeration would be greater. Obviously, farmers will not accept large reductions in rice yields so much more research and development is needed to develop the correct management systems for CA on different soils and under different water regimes; these include development of better varieties, weed control strategies, nutrient applications, seeding equipment and more.